The end of the month means another snaps post and I'm pretty certain each month I'm taking less and less Instagram photos, oops! May hasn't been an exciting month, I haven't been to many places which does explain the shortage of Instagram posts, I just haven't been doing anything picture worthy, in fact most of May has been spent at my boyfriends and at work, how boring! However during Bank Holiday weekend I did step outside and have some fun at Bournemouth Seven's Festival, which is a sport's festival where thousands of people attend, in the day it's all about the sports but at night it's like a completely different place, full of music and drink. It's my first time ever going to 7's and I loved it, it was nothing like I expected and was such a fun weekend, excluding the mud and people who had too much too drink. Oh and did I mention my boyfriend is the top sales representative for 7's two years in a row? Haha! 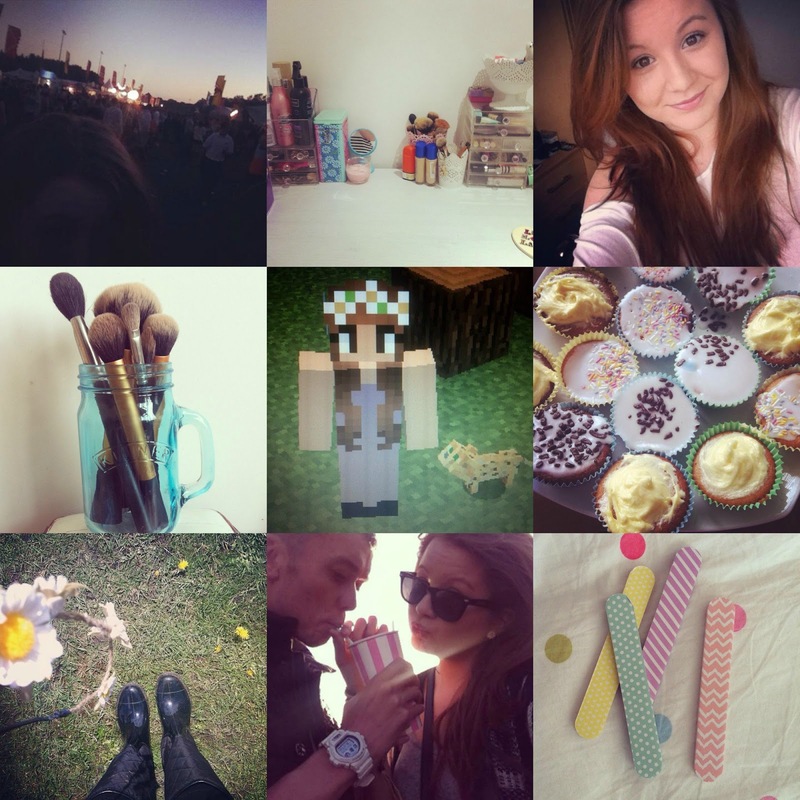 Sorry for May being such a boring month on both my Instagram and blog, but next month will be much better I promise! See my extremely few May blog posts here. Follow me on Instagram here. I follow back!